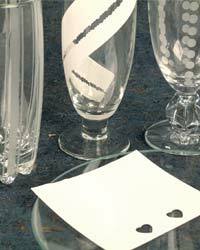 Create a vinyl stencil of your favorite design and use them over and over again. 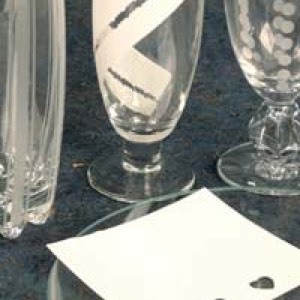 No need for glue, this stencil uses static cling to adhere to your glass. 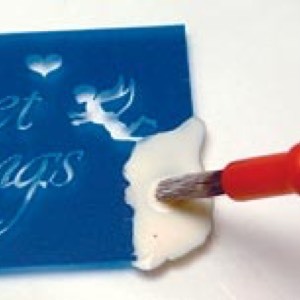 Since you do not need glue you can reposition the stencil as many times as you like. Can be used with Sand EtchÂ®. After use, just wash off with warm water and pat dry with a paper towel. Place it back on the carrier sheet for later use. Available in clear or white. package of 6 pieces WHITE 9"x12"
IMPORTANT: Use this film for light duty sandblasting. Due to the low tack adhesion, NOT to be use with Armour Etch Cream.